It was only a few short hours after the ticket windows slid open on April 4th that the first game at TD Ameritrade Park was sold out. 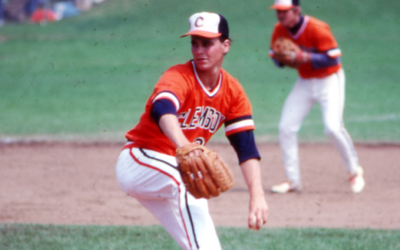 Long considered the Cooperstown of college baseball, Omaha has ushered in a new era, and it all started with the Creighton Bluejays. 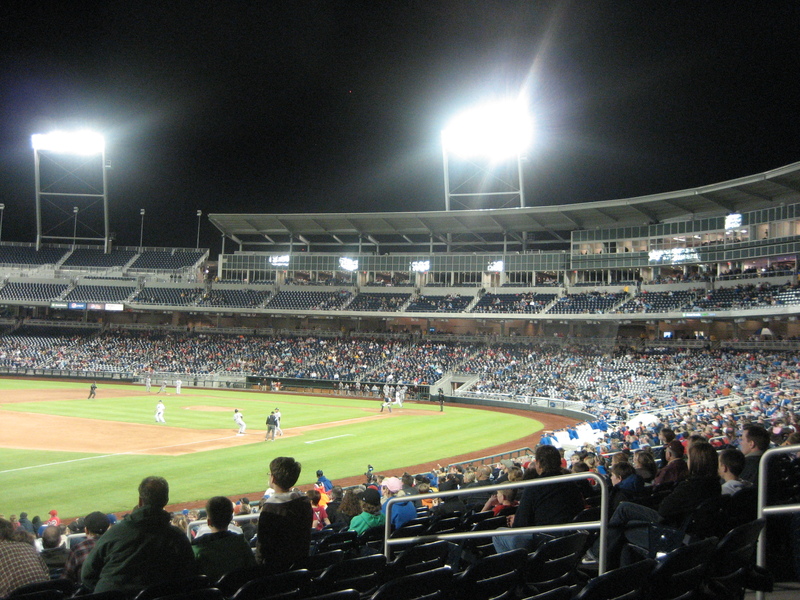 On April 19th 2011, the Bluejays and Nebraska Cornhuskers opened the new park to a sold out crowd of 24,000 on a cold, rainy, and windy night in Omaha. The Cornhuskers took the first game 2-1, but it did not stop the Bluejays from playing well at the new park over the following six weeks. Creighton would amass a 13-4 record, including victories over Nebraska, Kansas, as well as a Missouri Valley Title. The Jays ended up earning a #2 seed in the Corvalis regional, but eventually fell as the Beavers defended their home turf. 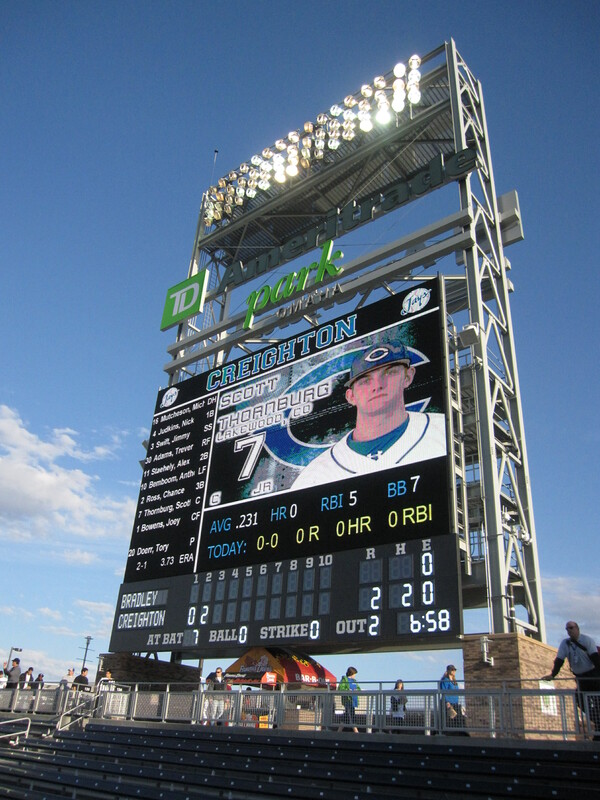 This past semester I had the opportunity to work with Creighton as well as the folks over at TD Ameritrade Park in helping to open the new facility. 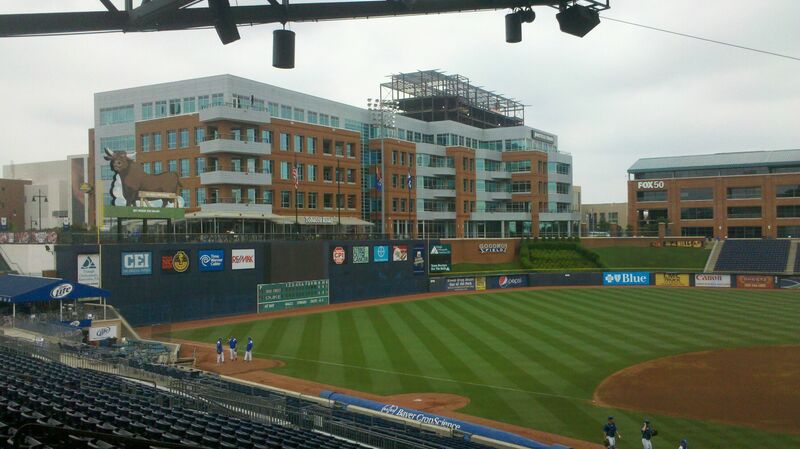 Months of hard work between multiple parties paid off, and TD Ameritrade Park opened successfully. 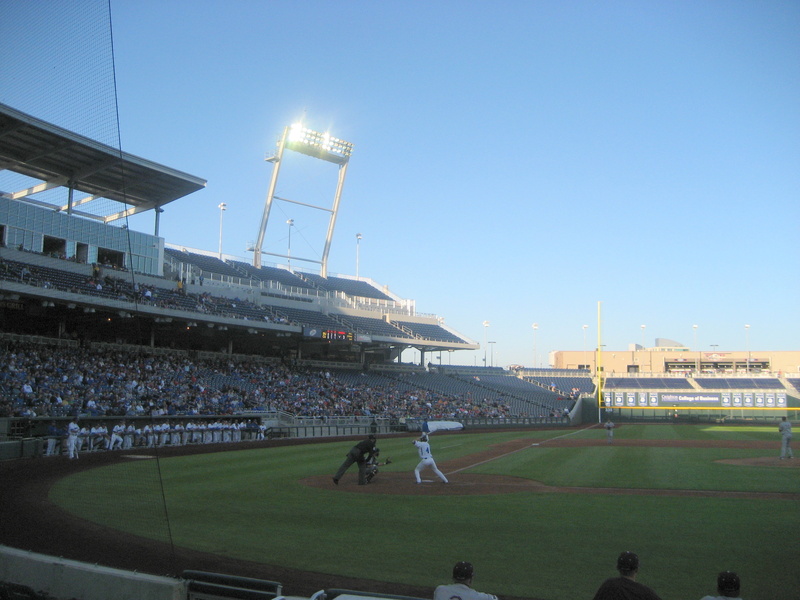 Creighton averaged 7-9,000 fans per game while playing in April and May, and the College World Series was given a great opportunity to work out the kinks of playing in the new park. 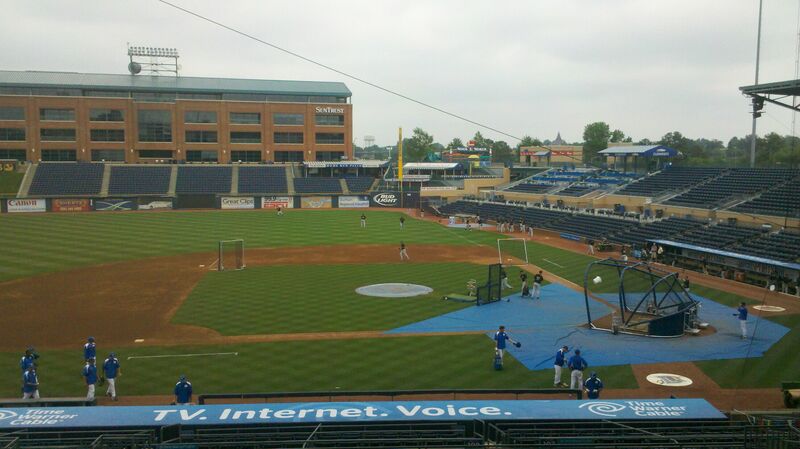 Today, the first College World Series game will be played between Vanderbilt and North Carolina. This year’s CWS features 6 of 8 national seeds (including the top 5), and should provide us with games from some of the Nation’s very best. Virginia and Vanderbilt have consistently been the two best teams all year, while South Carolina, Florida and North Carolina all have been outstanding as well. I’m going to make a safe pick, and go with Vanderbilt and Virginia to play for the National Title, and pick Virginia to win it all. When wandering the concourses of TD Ameritrade Park, it becomes immediately apparent that it is truly a cathedral of college baseball. While the College World Series will take place every season in late June, only the Jays can call the nations best college park its home. 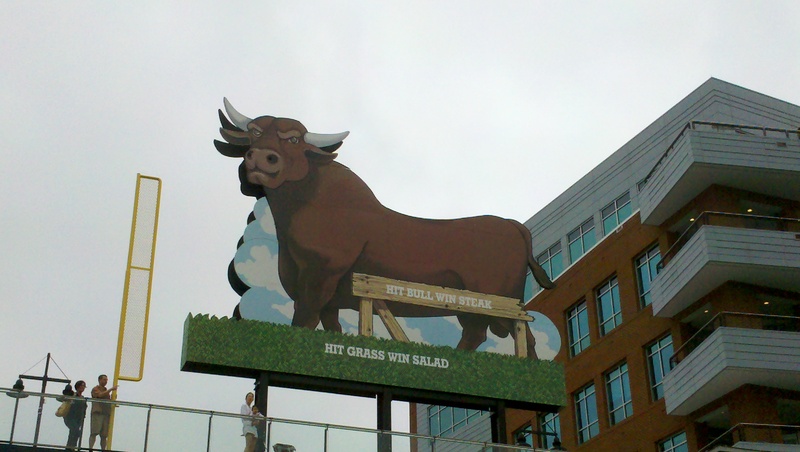 The new revolution in baseball architecture is seen throughout the park, combining a mix of the old and new in creating a facility usually reserved for only the Major Leagues. With wide concourses, premiere luxury suites, and a wide assortment of concessions, TD Ameritrade Park provides the players, staff, and the fans with the ultimate baseball experience. 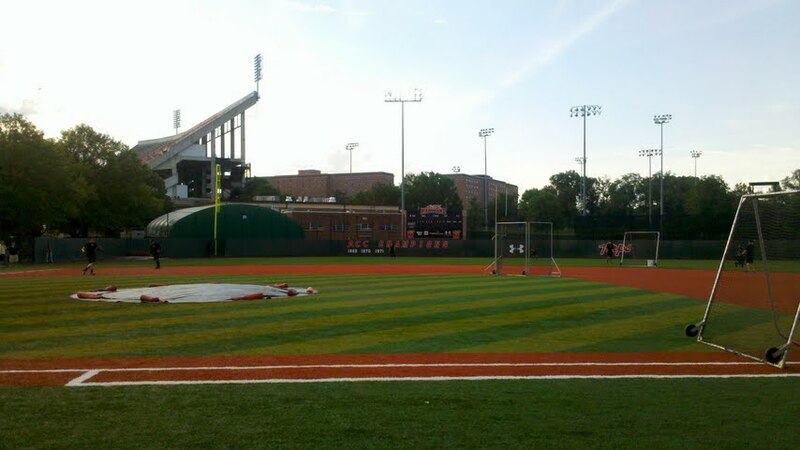 Its been an eventful week in College Baseball and today we’ve got the latest projections. Right now the bubble is shrinking and the teams on it are most notably LSU, Ole Miss, Texas Tech, Kansas State, E Tennessee State, Jacksonville, Illinois State, Georgia, Florida Atlantic, and St. John’s. The good news is, most of these teams will make it if there aren’t too many conference tournament upsets. The most widely debated LSU Tigers are in for me right now, because of their strong finish and great OOC record. The Ole Miss Rebels are out after slipping at the end of the year and with a record not far above .500. Georgia is in trouble because they must win have a winning record in the SEC tournament this week, which seems unlikely given their bracket. For now, I have them out. In terms of host sites, I see eight teams vying for 4 spots. They are Oklahoma, Clemson, TCU, Fresno State, Stetson, Southern Miss, Arkansas, and Cal State Fullerton. With a tough week for the Sooners, Hatters, Bulldogs, and Golden Eagles, today they have been bumped to #2 seeds in regions. A strong finish from any of these teams could put them in position to host, although the ability of the NCAA to make money at each of the sites is important as well. Arkansas, Clemson, Fresno State, and TCU have an advantage in that department. With UNC’s sweep of #1 Virginia this weekend, the Tar Heels are in good shape for a national seed, while Florida State falls after they lose 2 of 3 to Clemson at home. Virginia maintains the top spot for now, but could easily lose it without an ACC crown this week. Like last time, I will put the National seed bracket, followed by their pairing. Of course College Football and Basketball are great, and are so much better than their pro sports conglomerates, but college baseball is on the rise. 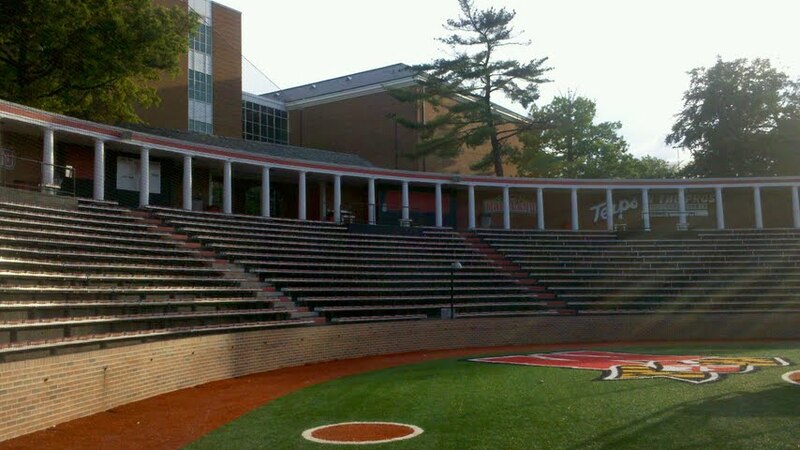 I’ve had my share of College Baseball experiences over the last 12 months that have made me a true believer. 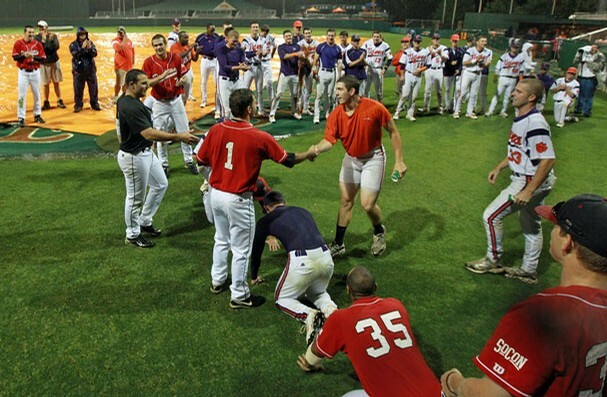 I had the pleasure of attending plenty of games this season from Nebraska to South Carolina, but no one was more entertaining than the Clemson-Davidson game on Tuesday night…and it wasn’t even the game that made it special. Some people say these “antics” tarnish the game, I say no. Do you think more people would stick around during rain delays in the Majors if there were players goofing off on the field? I certainly was getting antsy sitting waiting for the game for two hours, but this entertainment made me want to stay and see more. Eventually the game resumed, and Clemson won 19-0, but that wasn’t nearly as fun as the rain delay. I’m not saying every team should do this every rain delay, but you’ve got to try and have some fun every once in a while! The best part of it is, the players were just trying to pass time, have fun, and came up with these ideas on the spur of the moment. This is another clip from the Radford game last week, where another team got in on some hilarious fun. 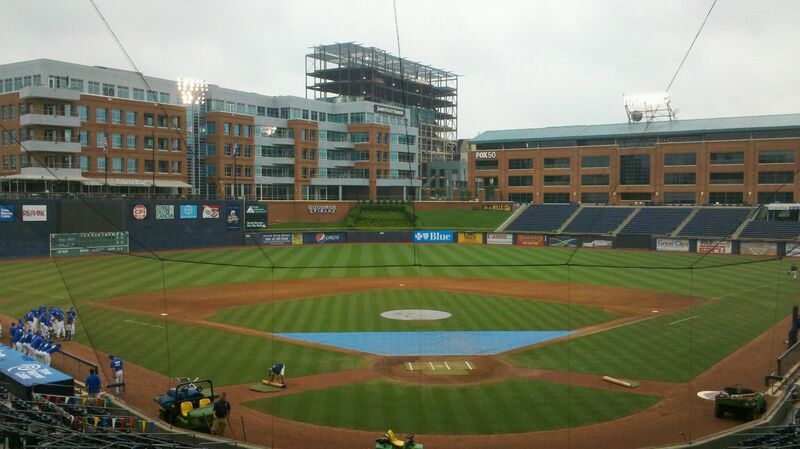 It’s the final weekend of ACC baseball in the regular season. 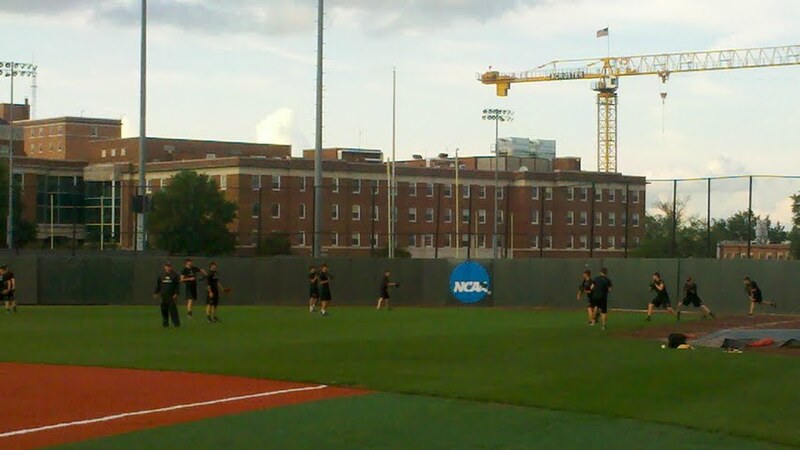 I’m here at the University of Maryland for the Wake Forest – Maryland baseball series. 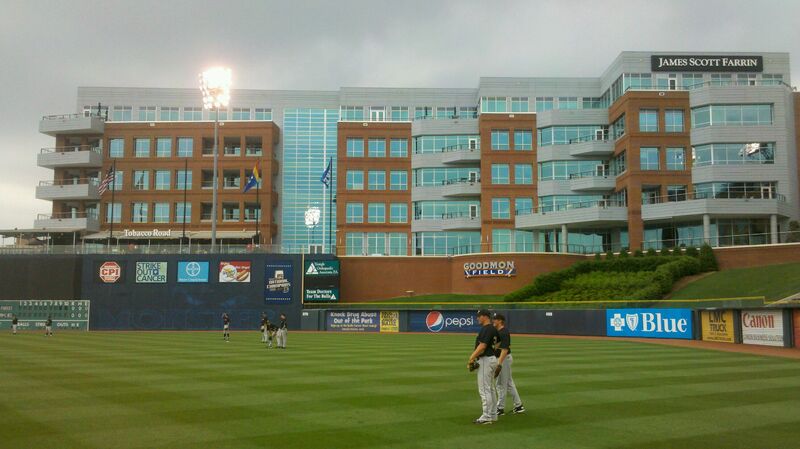 Given the ACC Tournament begins on Wednesday, this weekend’s series was moved up a day. Therefore, this series will be begin tonight at 7pm. Here in College Park, we must recognize some its great Alumni who have made us here at the Borough proud to be New Yorkers. 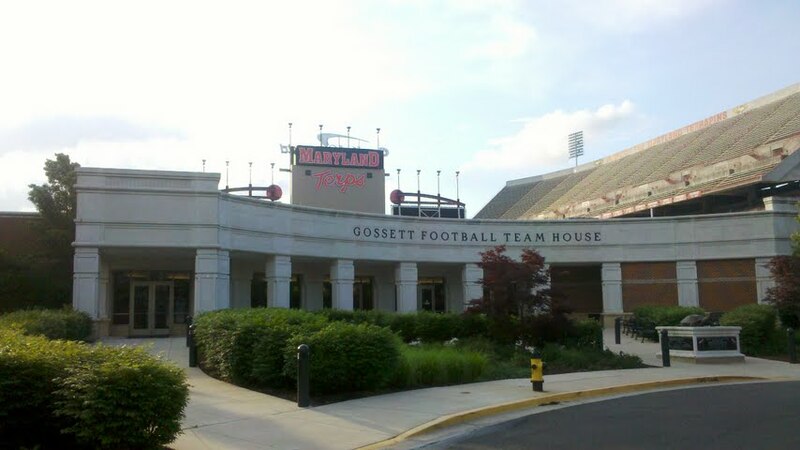 First, Maryland is home to the great comedian, writer, actor, and producer Larry David. 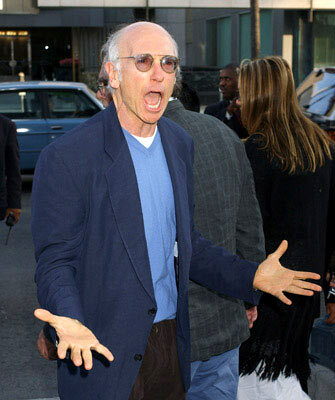 Since Curb Your Enthusiasm is my favorite television show, Larry David is a legend in my book. 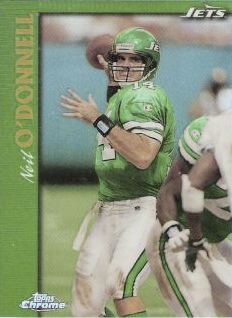 Maryland was also the alma mater for some Jets quarterbacks in the 90’s: Boomer Esiason and Neil O’Donnell. So for this weekend, we will salute these individuals who have made their name in our great city. Over at 5 Borough Sports, we are pretty into College Baseball, so I thought I’d take a rare stab at College Baseball NCAA Tournament Projections. Very few people actually do this, so perhaps we’ll get ahead of the game and learn about it. I have to say my interest in College Baseball has been much shorter lived than my College Basketball days, but this Bracket Projection does not come to you as a blind projection. 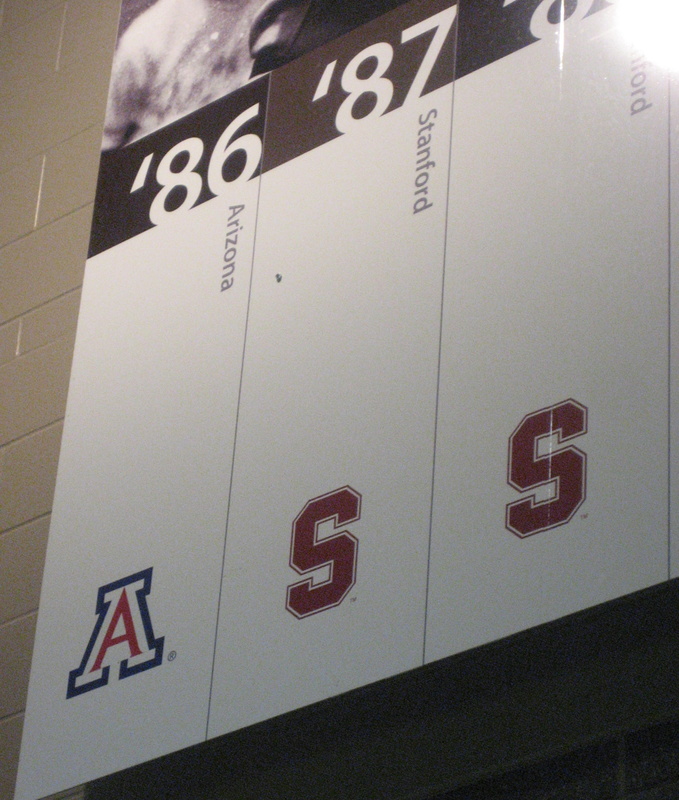 I did an extensive amount of research on how to put one of these brackets together and tried to obey all rules of College Baseball Brackets. I will put the National Seed Brackets followed by their corresponding matchup for the Super Regional. You start with 16 sites with 4 teams at each for a total of 64. At each site in the first round, the teams play a double elimination format to determine one winner from each site. The next round you matchup the winners of two sites and play a best of three series, to narrow it to 8 teams. 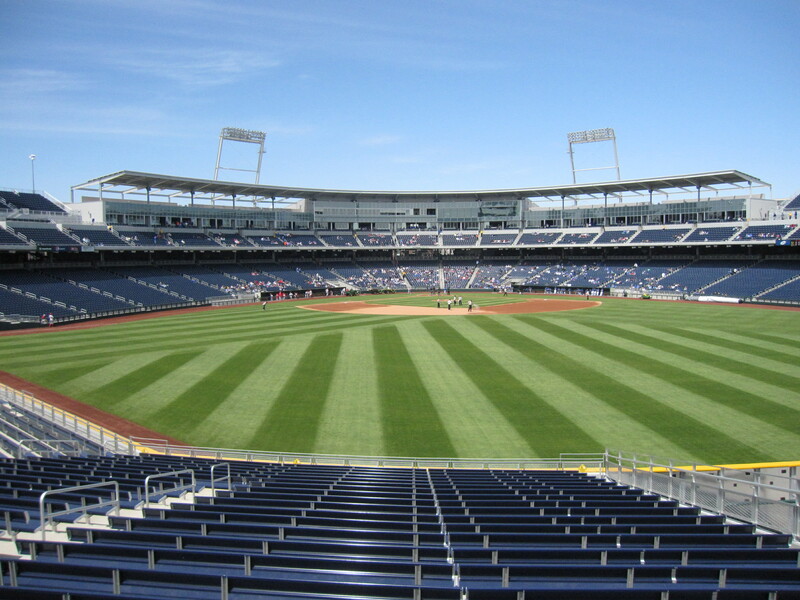 Finally, the 8 teams go to Omaha for the College World Series. There they are broken into two separate groups of 4, who then play another double elimination tournament to get down to 2 teams remaining. Those two play a best of 3 for the National Title. This year the National Seeds (the top 8 teams in the country) look to be pretty set already, although we could see some changes. Hosts of the next round could flux over the next two weeks, as today I moved Clemson and Oklahoma up to host, and Southern Miss and Stetson down as they had a couple rough weeks. I still think they could change back, and these teams will determine their outcomes with they finish over the final two weeks. On the bubble moved Ole Miss, Tulane, and SE Louisiana onto the right side, while keeping out Texas Tech, LSU and Jacksonville amongst others. LSU is the most strange team in the country, as they have dominated out of conference competition, but struggled mightily in conference. I think they have a real good chance but must win their series with Mississippi State this weekend and hope they can make the SEC tournament. 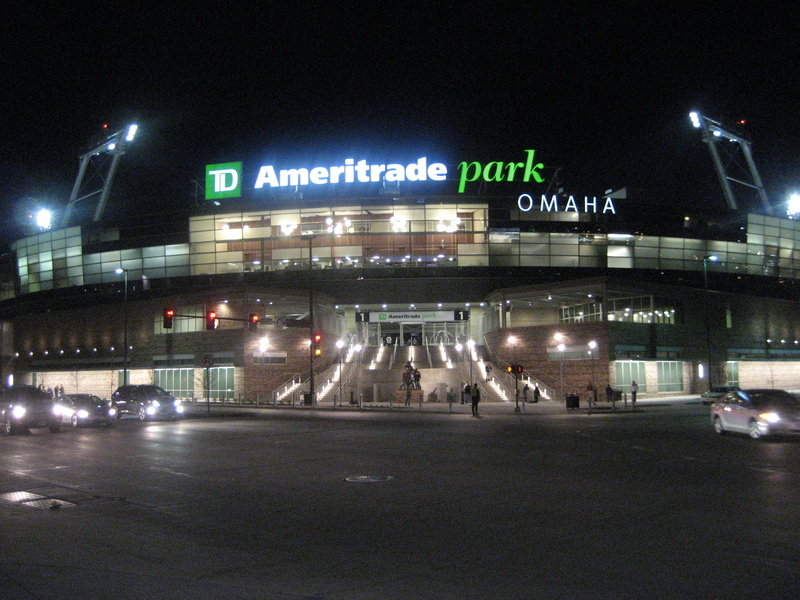 Look for more college baseball coverage over the coming weeks, including a look at the new home of the College World Series, TD Ameritrade Park Omaha. Anyway, here is the trial run at College Baseball Bracketology, hope you enjoy. 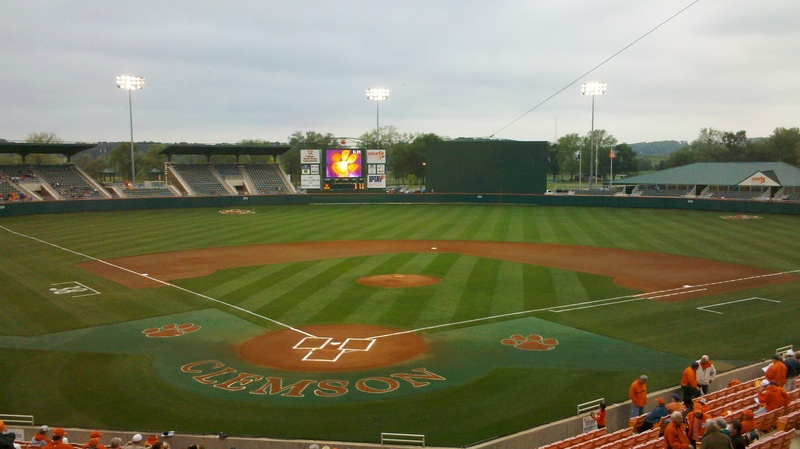 This weekend, I will be down here in Clemson, South Carolina for some quality ACC Baseball. While walking around Doug Kingsmore Stadium, I noticed a photo of Yankees’ great Jimmy Key. I completely forgot that he went here. 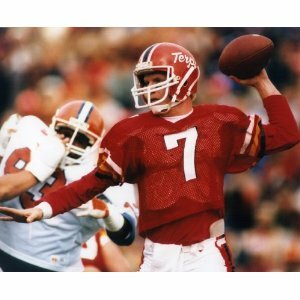 Talk about a guy who knew how to carve people up. His Game 6 performance in the 1996 World Series will never be forgotten. And of course, Clemson is the alma mater of 5 Borough’s own “sammywestside.” However, sammywestside is working for Creighton University’s athletic department in Omaha, Nebraska this semester and won’t be here this weekend. Looking forward to a great weekend in one of the greatest college towns in America.